SHIPMENT.POSTAGE.FAILURE: Unable to complete shipment purchase: Missing but required: customs contents type. SHIPMENT.CUSTOMS_INFO.REQUIRED: Unable to proceed, 'customs_info' is required for international shipments, shipments bound for US military bases, or US territories. Please see https://www.easypost.com/docs/api#customs for more information. This happens if you are trying to generate an international label, or a label to a military base. We do not yet support automated international labels. Note that we will support international labels though Shippo only (coming soon). That mean currently we can not create shipping label for international shipments? Unfortunately no we do not support international labels with EasyPost yet. This is actually a feature we're planning on releasing with Shippo. 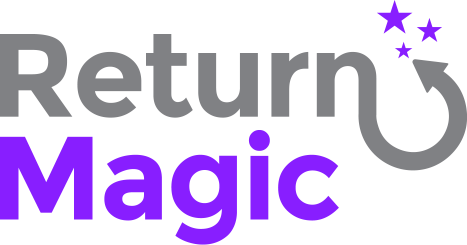 There's more about the different features of our integrations here, and if you have any questions feel free to follow up as a comment on this page or to write to us at support@returnmagic.com! Its been like a year to this post. can we create shipping label for international shipments now? and if not than can we manually add customs contents type ? Hi Muhammad! Unfortunately we still do not support to automatically generate international return labels with EasyPost. You can use their API (https://www.easypost.com/docs/api) to manually create a label and add this customs content type, and then upload the label's file to Return Magic.